The Intergovernmental Panel on Climate Change (IPCC) named five Pacific Northwest National Laboratory (PNNL) scientists to play significant roles on its next report. The IPCC is a group of experts tasked with evaluating the science, underlying climate change, its impacts, and potential responses. The scientists will join 831 researchers on the three working groups. Phil Rasch, lead author. 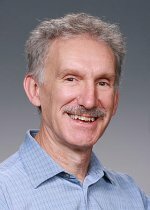 An American Association for the Advancement of Science Fellow and Laboratory Fellow at PNNL, Rasch is internationally recognized for his contribution to climate modeling and connecting cloud formation, atmospheric chemistry, and climate. Rasch is a consistent contributor to IPCC reports. Tony Janetos, coordinating lead author. Janetos is a Laboratory Fellow at PNNL and Director of the Joint Global Change Research Institute (JGCRI), a partnership between PNNL and the University of Maryland. Janetos is frequently called upon to give testimony to Congress and participate in other policy forums to provide scientific insight and perspectives on climate change and its impacts to a wide range of audiences. He has contributed to chapters in each of the previous IPCC reports, and the special report on Land Use, Land Use Change, and Forestry. Richard Moss, review editor. 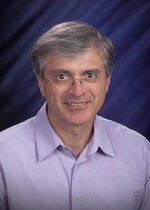 Moss, a Senior Staff Scientist at JGCRI, has been with PNNL since 1993. During a business leave of absence from 2006-2009, he served as Vice President and Managing Director for Climate Change at the World Wildlife Fund and Senior Director of the U.N. Foundation Energy and Climate Program. He has been a lead author and general editor of a number of IPCC Assessments, Special Reports, and Technical Papers, and remains active in the IPCC, co-chairing its Task Group on Data and Scenario Support. Jae Edmonds, lead author. 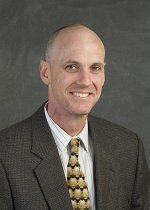 Edmonds is a PNNL Laboratory Fellow and Senior Staff Scientist and Technical Leader of Economic Programs at JGCRI. 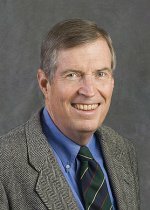 Edmonds is internationally known for his contributions to the field of integrated assessment of climate change and the examination of interactions between energy, technology, policy, and the environment. He served as lead author on 14 IPCC chapters and reports. Leon Clarke, coordinating lead author. 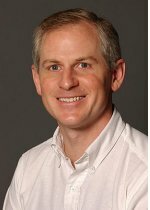 Clarke is a Senior Research Economist at JGCRI; his current research focuses on the role of technology in addressing climate change, scenario analysis, and integrated assessment model development. He contributed to two previous IPCC reports. Their selection to serve in integral roles in the next IPCC assessment highlights their worldwide leadership in the climate science community. The IPCC was established by the United Nations and the World Meteorological Organization to provide a comprehensive and up-to-date assessment of the current state of knowledge on climate change. The IPCC Climate Change Assessment Report is scheduled to be released in sections in 2013 and 2014. Congratulations to Phil, Tony, Jae, Richard and Leon! For more information, visit the IPCC website.